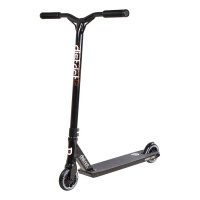 District Freestyle Scooter Co. founded in 2007 pioneering the modern freestyle scooter movement, setting the standards in pro scooter design, manufacturing and performance. 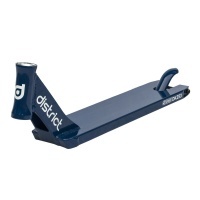 District were the first brand that offered custom freestyle scooter parts. 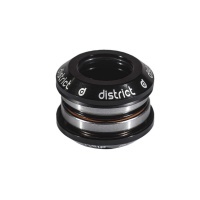 District wrote the rules - others have only followed. 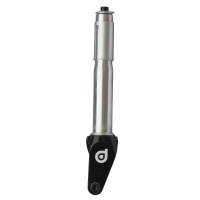 Now they produce completes and wheels to grips and everything in between. 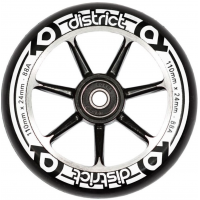 The new 100mm alloy scooter wheels from District are bound to be a top seller. 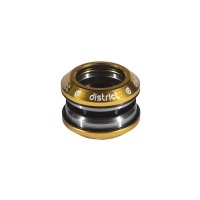 District wheels have always have been within some of the longest lasting and rolling wheels. 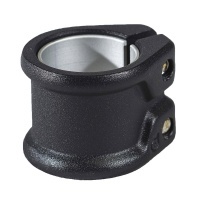 The District fully sealed headsets are a standard 1 1/8" fit for non integrated scooter decks. 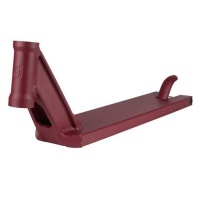 Available in a range of colours at an affordable price for upgrading. 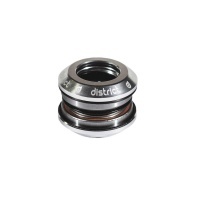 The District C-Series are back with an all new mini HIC Compression, 110mm Eagle Supply wheels and looking fine! 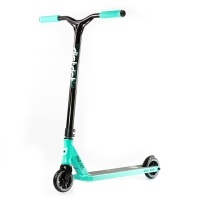 The perfect choice for anyone looking to break into scootering with a quality scooter! 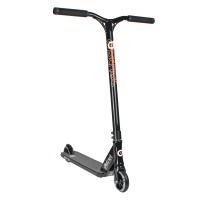 The C152 pro scooter in Black and Orange from District is a massive step up for anyone looking to improve their riding, With it's lightweight design and new dual core width wheels. The W series has taken the streets and parks by storm. 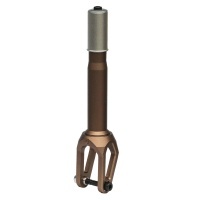 Sitting at 28mm wide and 110mm Diameter, but still with a 24mm core, these wheels will fit onto most forks. 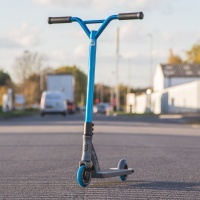 Introducing the brand new HTS District Complete Scooter, the highest spec District complete ever made! 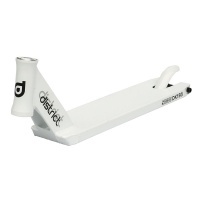 The new lightweight deck construction makes it the perfect multi ride. 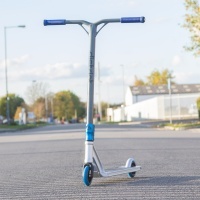 Introducing the brand new HTS District pro Scooter, the highest spec District complete ever made! 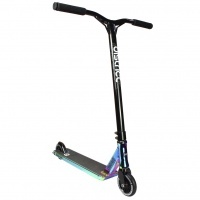 The new lightweight deck construction makes it the perfect multi ride. 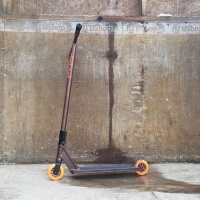 New in from District the HTS Titanium Grey and Orange complete is one for those who are looking to step up their game in scootering with this awesome pro scooter. 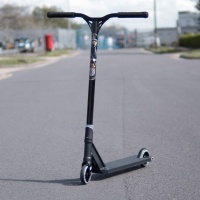 One of the lightest and best balanced decks on the market, finished in a beautiful metallic black aluminium. 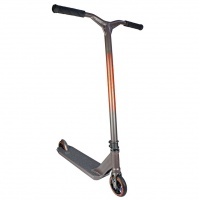 at 530mm long it is perfect for park and street riding. One of the lightest and best balanced decks on the market, finished in a beautiful marino aluminium. 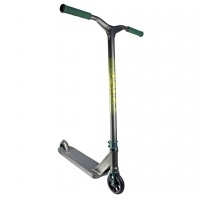 at 530mm long it is perfect for park and street riding. 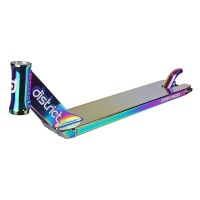 Keep your feet comfortable with these district socks. 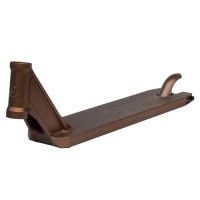 Stylish yet low key branding keeps you looking fresh for those park or street days. 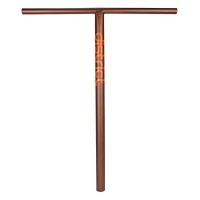 These ST115 bars from District are one hell of a bar. 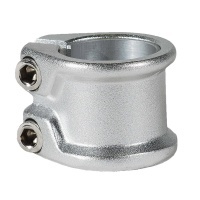 Super strong with gusset re-enforcement. 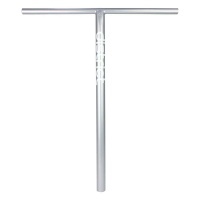 Almost 26 inches tall, these bars would suit even the largest of riders. 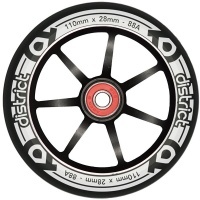 110mm wheel for £14.99 seems like its too good to be true, but its not, its legit and these District wheels are awesome! These wheels have landed and they are SICK. 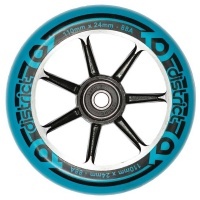 110mm wheel for £14.99 seems like its too good to be true, but its not, its legit and they're awesome! There isn't really a way to describe Coedie Donovan. 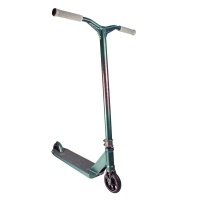 He has been, and still is an incredible influence to the scooting world since 2007. It is clear to see why he needs an epic deck such as this one. 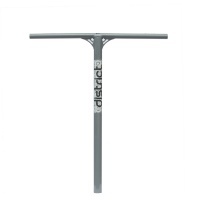 ​Supporting SCS Compression the District HT Series T-Bars sit at 700mm tall and 600mm wide creating a perfect bar for the taller to adult rider.